Biography & Clinic Details: Partnering with two clinical brands, dermoi! is the first platform to take advanced skincare on the road. Using iS Clinical’s Advanced Resurfacing treatments and Osmosis’s Facial Infusions advanced facials are delivered in the comfort of people’s homes, offices and hotels across London. Our partner-therapists are highly experienced, having between 7 and 25 years’ industry experience; qualified in advanced skincare and are fully vetted. Additionally, we provide further training on a continual basis. We are driven to find the best results for our clients, no matter the skin tone, type or condition. Areas of Interest: Skincare, health and wellness, diet and supplementary products aimed at supporting skin conditions, mental wellness in relation to deeper skincare concerns. What is your most recommended product to women of colour and why? 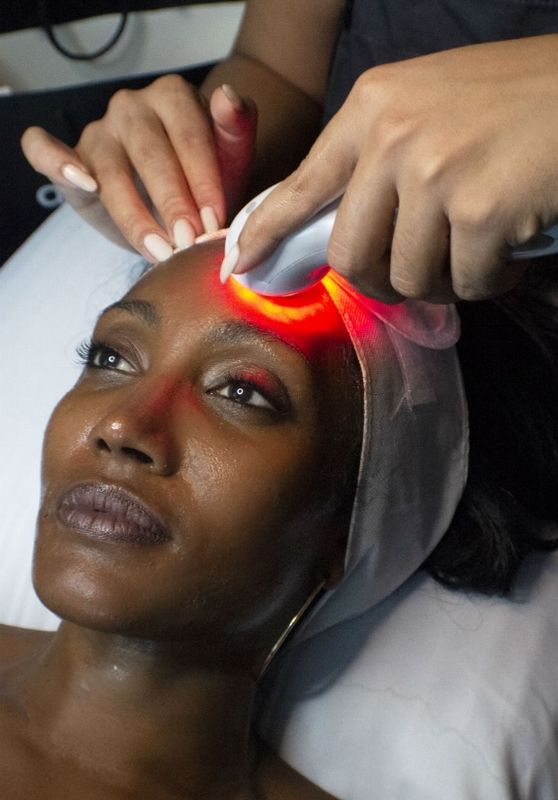 : Osmosis treatment infusions have an amazing affect on pigmentation concern for darker skins. The infusion of Retinaldehyde with other ingredients such as 1,3 Beta Glucan, Hyaluronic Acid, Niacinamide and other active pharma-grade ingredients work to give melanated skin an unbelievable glow from within. By ticking this box, I consent to my details being shared with dermoi! Thank you for your message. dermoi! will contact you within 48 hours.